Greenwich is a district of South East London located in the Royal Borough of Greenwich. 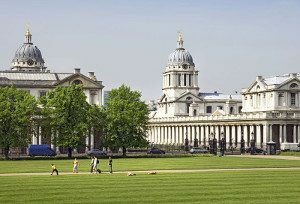 Greenwich as a rich maritime history and gives its name to the Greenwich Meridian and Greenwich Mean Time. Greenwich can be reached by car via the A2 and A102. Greenwich is well served by public transport and has two rail stations: Greenwich station and Maze Hill station. Lanes School of Driving was first established in 1914. Since then it has been teaching generations to drive and has developed an excellent reputation. Lanes caters to the different needs of each pupil and lessons are adjusted according to ability. Lanes offers intensive driving courses. Pupils have the option of taking theory lessons along with their practical lessons or as part of a separate theory course. Pupils who have passed their test are given the opportunity for further instruction. After pass courses offered include: Advanced Driving, Pass Plus, Motorway Driving and Parking Skills. Lanes offers a flexible approach to learning. Lessons are offered as part of a weekly course or as stand alone lessons. For pupils who wish to book several lessons at once, discounted rates are available. Lanes offers on to one lessons for each pupil. We believe that this is the best approach for our pupils in order that they do not have to share their instructor with other pupils. Lanes can offer its pupils the latest models of cars for students to use. Pupils can be collected by their instructors before their lesson and taken back home after the lesson. Lanes have been providing driving lessons in Greenwich, London for many years. Please call us today on 020 8166 5678 or click here to send us an email via the contact page. Lanes has over 40 driving instructors for pupils to choose from. Pupils can select the instructor best suited to their ability and temperament. Our instructors teach a whole range of ages: from 17 to 70 and above. They are very accustomed to nervous first time drivers. Every instructor is a DSA registered Approved Driving Instructor. Pupils can be assured that their instructor will remain with them for the duration of their lessons. Lanes have a team of driving instructors in Greenwich, London. Please call us today on 020 8166 5678 or click here to send us an email via the contact page. Learning to drive can make many pupils nervous. Female pupils are often especially worried about having to share a car with a male driving instructor. At Lanes we give female pupils the opportunity to choose a female driving instructor. Our female driving instructors have a very relaxed, unhurried approach. Their pupils will feel at ease and able to learn at their own pace. Lanes have a selection of female driving instructors in Greenwich, London. Please call us today on 020 8166 5678 or click here to send us an email via the contact page. Many first time drivers prefer to use automatic cars. It is certainly true that manual cars afford greater control. At the same time automatic cars are less daunting for the first-timer. They are less cumbersome to operate and better still, they do not stall. Pupils will usually learn a lot faster in an automatic car. Lanes have a selection of automatic driving instructors in Greenwich, London. Please call us today on 020 8166 5678 or click here to send us an email via the contact page.